Whether you are a quick serve restaurant or a fine dining steakhouse, the right lighting can make a remarkable impact on your customers' dining experience and overall sales. 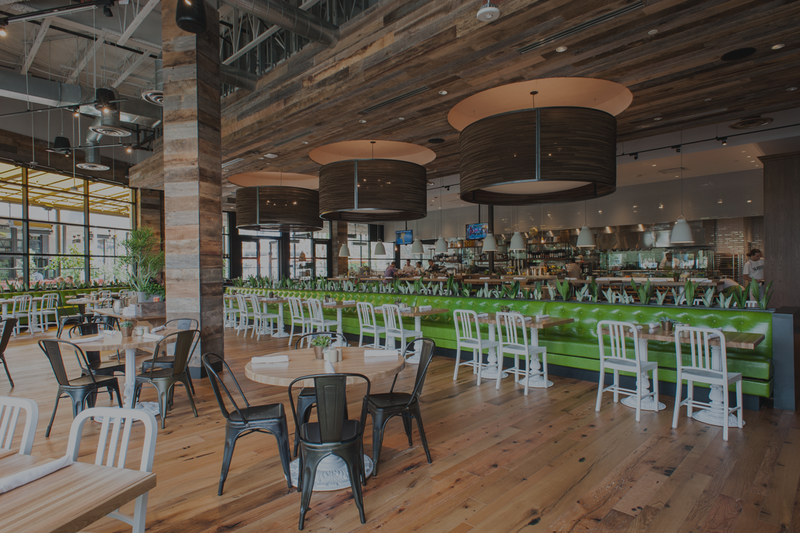 Our lighting designers have put together some simple and easy tips to help enhance your restaurant lighting. To download this guide, complete the fields in the form and submit. Ambiance: Color Temperature recommendations based on the type of restaurant. Dimming: Why quality dimming is important in a restaurant environment. Highlight artwork and tables: How to properly aim lighting to highlight artwork and tables in a restaurant. Menu: Helpful tips for lighting menus based on your restaurant type. Exterior: Tips for attracting customers with quality exterior lighting. LED product selection: Our top LED product recommendations for a restaurant setting. If you identify with one of the descriptions below, then this guide to restaurant lighting is just what you're looking for. "I am a restaurant owner"
I own a small restaurant or restaurant chain location and am interested in learning how to enhance the lighting and ambiance of my restaurant. "I am a restaurant manager"
I’m responsible for managing the daily tasks at a restaurant and making sure the building maintenance is up to par. "I am responsible for restaurant new construction"
I work for a chain and am responsible for managing the new construction of new restaurant locations. "I am responsible for procurement for a restaurant"
I am responsible for sourcing and procurement for my restaurant including the purchase of new lighting products.